...a queue management system found in many public services, and 14,000 lock-up garages. There’s no particular theme to Dudding’s collection, although “they tend to be British, anything from the 1900s to the present”, he says. Among the 24 Lagondas are cars from all series of the wedge, and one whose brightwork is 24 carat gold. Princess Diana’s Audi Cabriolet is in the collection. It’s done 150,000 miles and is slightly tired but very original. 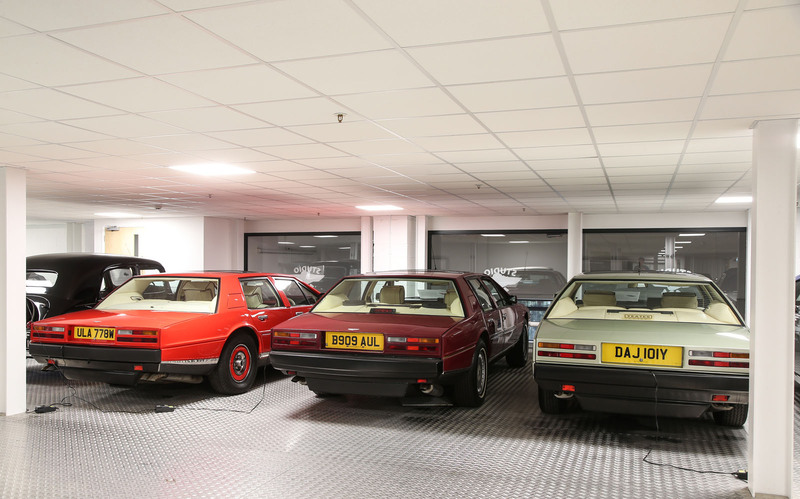 We met a man who owns 3.7% of all the Aston Martin Lagondas made between 1976 and 1990. That might not be so impressive if only a handful of these exceptionally long, low, sharp-edged and big-wheeled saloons had appeared, but the actual tally runs to 645 vehicles, which means that Rodger Dudding has 24. It also means that he owns 192 cylinders arranged in vees, 48 fuel filler flaps (Lagondas had the convenience of two) and 24 dashboard instrument sets demonstrating a variety of late-20th-century methods for digitally displaying speed, crankshaft revolutions and the state of assorted systems. That Dudding owns 24 of these sharp-edged technological adventures will astonish, although not as much as the car itself did when it emerged in 1976. It was truly a jaw-slackening sight, for its startling proportions, for the almost self-parodying sharpness of its contours and for the sheer unexpectedness of a car this futuristic emerging from Aston Martin. Were he alive today, designer William Towns might be surprised to discover that some of the broad ideas behind his 1976 Lagonda form part of the inspiration for the planned relaunch of the marque. And he almost certainly didn’t expect that the car he drew in 1975 would live for 15 years and sell 645 examples. Towns probably had the idea before he sat down to create it, because the Lagonda travelled from drawing board to production reality within 10 months of the project’s start – and without a single sensational line being changed. It absolutely was a sensation too. This was the car that the crowds wanted to see at the 1976 Earls Court motor show more than any other. Marek Reichman, Aston Martin’s design chief today, says: “I remember seeing William Towns’ Lagonda and thinking it was from outer space.” He was not alone. 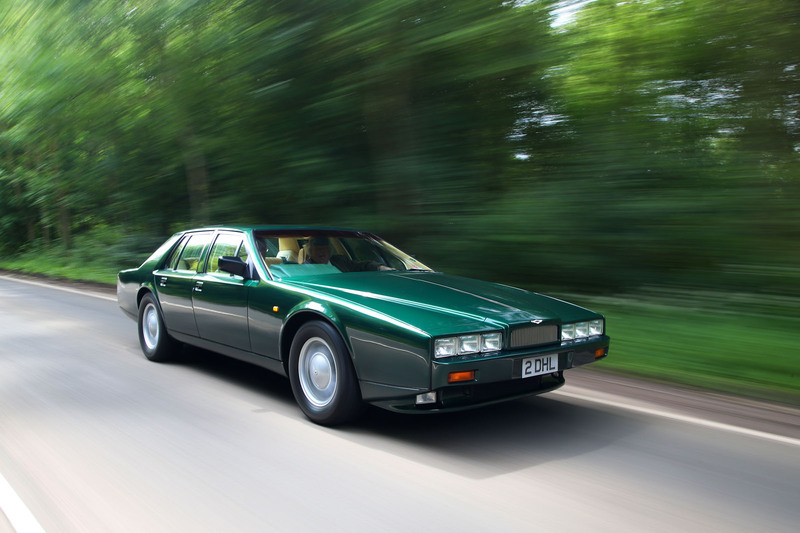 The needle-thin nose, the sharply defined glazing, the flush-fit, rectangular tail-lights, the rectangular exhaust pipes, the space-age rake of the enormous, near-flat windscreen and the Lagonda’s sheer low-slung length scored it unwavering stares, sometimes of bafflement, sometimes of admiration. In the simplest descriptive terms, this was a three-box saloon – a phrase that spectacularly undersold this car’s capacity to snare your attention. The Lagonda’s exploration of the new extended to the interior too, where the instrumentation consisted of cathode ray tube digital displays, while many of the car’s controls, automatic transmission included, were operated from touchpads. 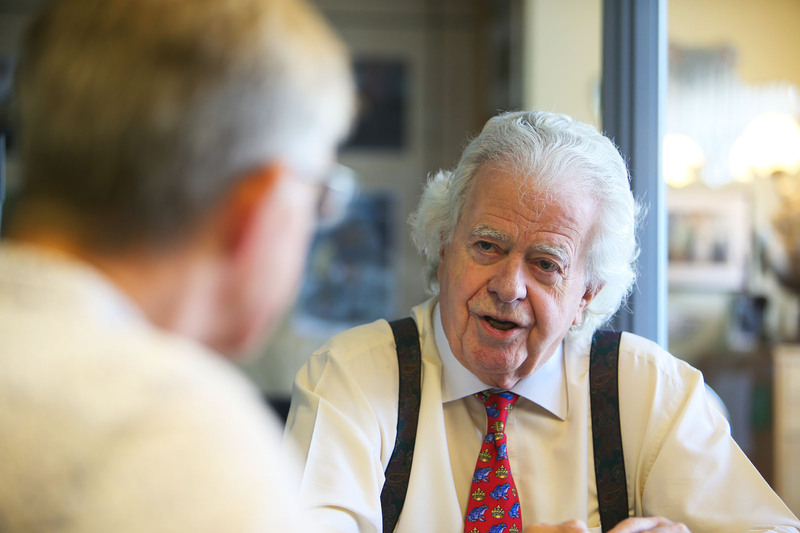 “They were plagued with electronic problems,” says Dudding, who drove a Lagonda in period. “Never get out with the keys left in the ignition. If you take the dashboard out, you’ll see festoons of wiring and circuit boards,” he adds, his technicians managing to solve the problems. On the four cars they’ve so far pulled apart, they’ve also discovered that “at either end of the dashboard there’s a little rocket ship symbol soldered on. They’re rather cute.” Cute but hidden, rather like Lagonda itself at times, the marque enduring an on/off life during Aston Martin’s custodianship, which began in 1947 when it was 41 years old. It most recently adorned the limited-edition 2015-16 Taraf saloon, of which 120 rather than the planned 200 were built. Still, not bad considering they cost a £696,000 a go, briefly making it the world’s most expensive saloon. The price was probably the boldest feature of the Taraf, followed by its carbonfibre body. But it certainly isn’t as bold as the Lagonda concept Aston Martin revealed at this year’s Geneva show. That car’s electric drivetrain allows a substantial rearranging of the car’s masses – the combustion engine and transmission replaced by twin electric motors, an inverter and an underfloor battery pack. Despite the change of propulsion and an emphasis on spacious high luxury, the ghost of the William Towns Lagonda can still be seen, as it can in the Taraf, through the shape of the rear pillars, the wedge of the nose and an opulent wheelbase. There’s an admittedly more tenuous, electrical link between the 1976 car and Lagonda’s promised saloon and SUV too. The older car pioneered digital instrumentation and touchpad switches not only for Aston Martin but the entire industry – features like this are common today but were almost undreamed of 42 years ago. The Taraf’s successors will certainly pioneer full electrification for Aston Martin Lagonda, if not the wider market. But the most important element to link 1976 Lagondas and tomorrow’s will be the mix of luxury and tech. 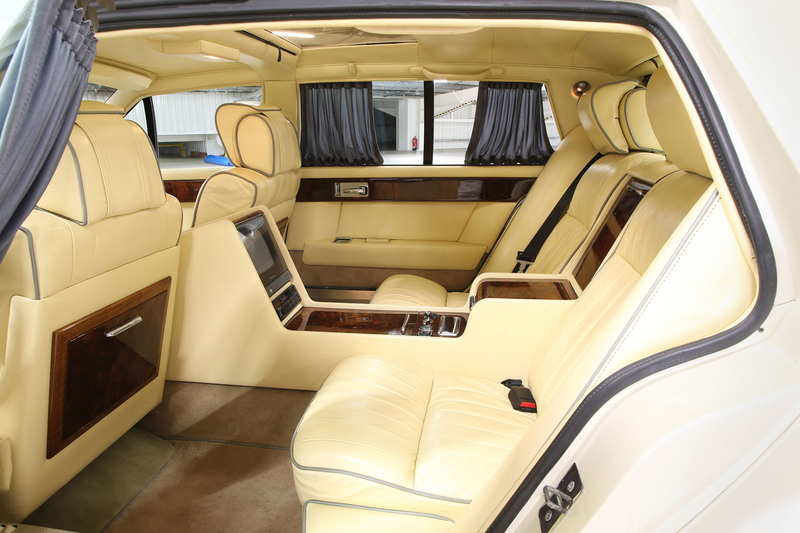 Step aboard Dudding’s white and inescapably vulgar extended-wheelbase Tickford Lagonda – one of only four built, happily – and you certainly see the scope for combining the two in this Middle East market car, which has TVs front and rear, and a cascade of walnut between the rear seats containing leather-lined shelves for cassettes and videos (players of both formats are on board). The bootlid carries a body-colour boomerang antenna, the extended rear doors and the back window are curtained, and the BBS alloys are part-finished in the white of the Lagonda’s unmissably long body. It’s pure Dubai. This 1984 car also has the digital cathode ray dashboard and touchpad controls, and it all seems to work. On the move, you soon discover that the digital rev counter’s numbers jump around as if they’re failing, until you realise that they’re chasing the crank speed to the nearest rev. The speedo scatters less, its units of measure larger than the rev counter’s, but neither is clearly seen behind the right hand side of the screen, where they’re less easily eclipsed by the small wheel and your hands. But none of this matters. The sight is fascinating, as are the delicate, blister- like touchpads, which click on and off more emphatically than expected. You find yourself marvelling that tiny Aston Martin managed to get all this into production at all. The Lagonda’s mechanicals are more familiar, being much the same as the Aston V8’s. There was less power for this limo – 280bhp rather than 320bhp – and a Chrysler three-speed auto was standard, but the V8’s chassis provided a drive more sporting than implied by all that length. Most obvious are the firmly controlled ride, surprisingly direct steering and, better still, not much roll. If you don’t mind thirsty sinkings of the accelerator, this is a car you can move about in pretty quickly. Parking will be less speedy, however. The Lagonda’s manoeuvrability is limited by its dismal lock, rangy wheelbase and the difficulty of seeing its extremities. Dudding says that he once got stuck in a multi-storey, where the spiralling coils of the in-ramp were too tight for the Lagonda. He had to reverse out – as did the 10 cars behind him. Dudding’s later green Series 4 car feels as off- puttingly oversized as the extended-wheelbase Tickford in a tight space, and at low to middling speeds not a lot more athletic, either. It’s more convincingly assembled (this particular car is the fourth from last) and has a more readable dashboard, whose digital instrument pack came from mid-1980s Vauxhalls. 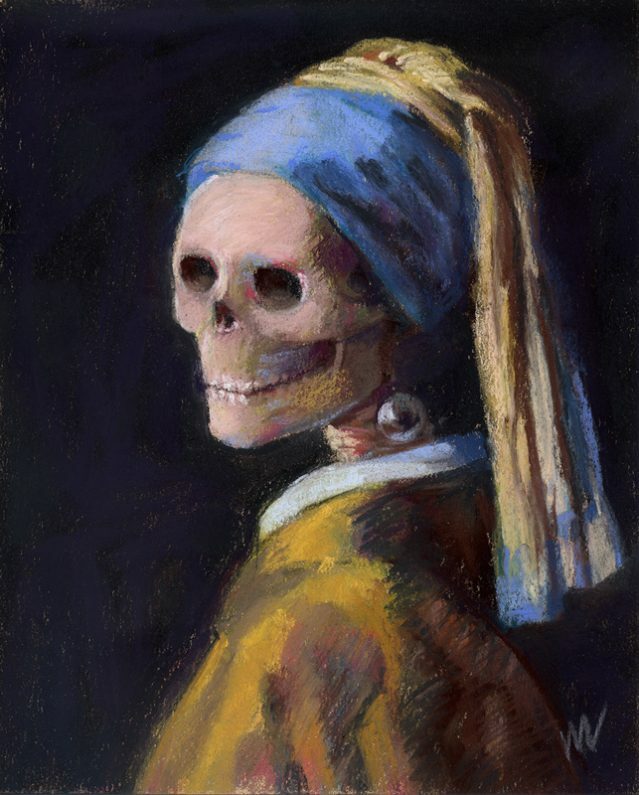 It’s clearer and less experimental-looking, but less intriguing too. The Lagonda is a curious mixture of a beautifully coherent back elevation, a fine side profile ruined by an extra long bonnet, and a disastrous front end - disastrous because it relies on gross exaggeration (in this case an excessively compressed grille/headlamp section) to achieve its visual effect. I like them. I think that unusually for something that appeared so futuristic in its day it's aged very well (the styling, not the instruments or switchgear). Far nicer than the DB7 which to my eyes has aged terribly. Congrulation he must Aston Martin fan like me. He has other car too which I would like too but all mine are model. Unless i missed something, this article doesn't seem to answer what to me is an obvious question - why does he own so many Lagondas?